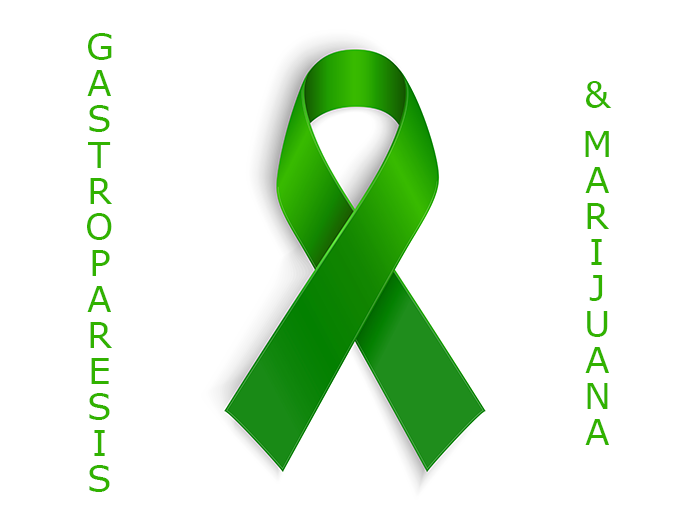 I want to write an article later about secondary effects Gastroparesis has on your body, like the fact it is deteriorating my spine from repetitive bending to vomit, but today, I want to talk about the health benefits of medical marijuana. Everyone has had an upset tummy before. However, some people experience severe and chronic nausea and vomiting due to certain conditions such as gastroparesis, and this gets in the way of living a quality life. 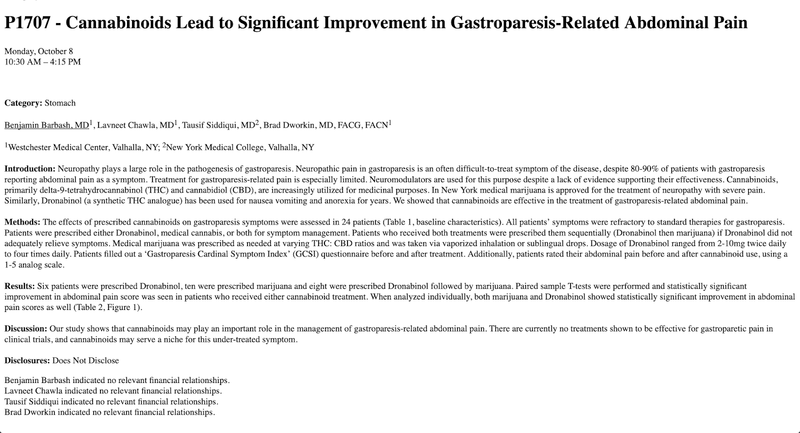 Thankfully, medical marijuana and gastroparesis treatment is available and could be a good option for you to help ease your nausea, vomiting and other gastroparesis-related symptoms. Gastroparesis is a disorder affecting your stomach’s motility, or spontaneous muscle movement. You usually have strong muscle contractions capable of pushing your food through your body’s digestive tract. When you’re suffering from gastroparesis, this motility slows down or might not even work altogether, which keeps your body from being able to empty your stomach properly. Antidepressants, opioids and other specific medications can cause slow gastric emptying and induce similar symptoms. Allergy medications and high blood pressure can, as well. These medicines can worsen the condition for those with gastroparesis. The cause of gastroparesis isn’t clear. In some cases, it’s a diabetes complication, while some individuals develop it following surgery. While there isn’t a cure for the disorder, you can find some relief with medication and dietary changes. Rare disorders like scleroderma — a connective tissue condition that affects your skeletal muscles, skin, internal organs and blood vessels — may also cause gastroparesis. There are several ways to categorize gastroparesis. Diabetic gastroparesis: Around 20 to 50 percent of lifelong diabetic patients experience gastroparesis — usually linked with other diabetes complications. In fact, diabetes mellitus is probably the most common condition leading to gastroparesis. Post-surgical gastroparesis: Some patients experience symptoms after upper gastrointestinal tract surgery. Idiopathic gastroparesis: There isn’t any noticeable abnormality causing the symptoms patients experience, although, in some situations, the symptoms started after an infectious event such as diarrhea, nausea and vomiting. The incidence of gastroparesis-related hospitalizations in the U.S. significantly increased between 1995 and 2004 — especially after 2000. The symptoms you experience can be severe or mild. Each person’s experience is different. Several complications can arise from gastroparesis, including the following. Malnutrition: Vomiting may hinder your body’s ability to absorb enough nutrients, since it prevents you from taking in adequate calories. Severe dehydration: Dehydration results from ongoing vomiting. Unpredictable changes in blood sugar: While gastroparesis doesn’t lead to diabetes, frequent alterations in the amount and rate of food passing into your small bowel can lead to unusual blood sugar level changes. These blood sugar level changes worsen diabetes, exacerbating the gastroparesis. Undigested, hardened food stays in your stomach: When undigested food remains in your stomach, it can harden into a solid mass called a BEZOAR. These often cause nausea and vomiting and could threaten your life if they’re keeping food from reaching your small intestine. Poor quality of life: Acute flare-ups of symptoms can keep you from working properly and being able to handle all your responsibilities. There’s a connection between gastroparesis, poor quality of life and significant psychological distress. Furthermore, symptoms of the condition adversely link with heightened depression and anxiety, as well as impaired quality of life. 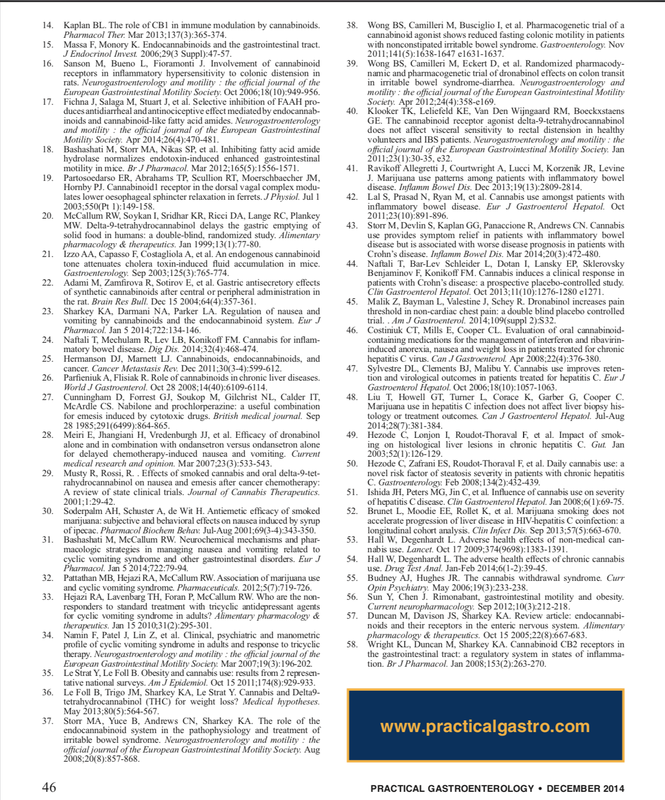 One study showed the rates of psychopathology in groups of individuals with gastroparesis ranged between 21.8 and 50 percent. Around 5 million people in the U.S. have gastroparesis. Around 100,000 of them suffer from a more serious form of the condition. Around 30,000 individuals don’t respond to treatment. Twenty percent of Type 1 diabetes patients develop gastroparesis. To treat gastroparesis, the doctor first needs to identify and treat the underlying condition. For instance, if you have diabetes and it’s causing your gastroparesis, the doctor will give you treatment to help you control diabetes. Proper nutrition plays a huge role in treating gastroparesis. Many individuals can keep their gastroparesis symptoms under control with simple changes to their diet. Your doctor may give you a referral to a dietitian who works closely with you in finding foods you can digest more easily, so you’re getting enough nutrients and calories from the food. Try pureed foods and soups if it’s easier to swallow liquids. Avoid well-cooked vegetables and fruits like broccoli and oranges, since they could cause bezoars. Eat a mostly low-fat diet, adding small servings of fatty foods if you can tolerate them. Avoid alcohol, carbonated drinks and smoking. Go for walks or exercise gently after eating. Don’t lie down for a couple of hours after each meal. Take a multivitamin every day. Your doctor may prescribe you medications to treat the disorder, such as stomach muscle-stimulating medications like erythromycin and metoclopramide. Your doctor may prescribe you medicine to keep your nausea and vomiting under control, such as diphenhydramine and prochlorperazine. 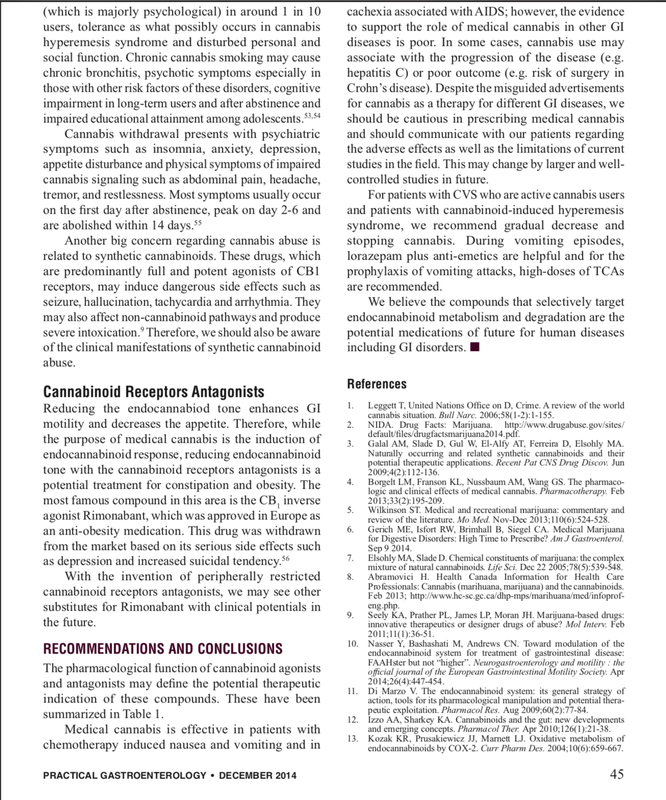 Side effects of prochlorperazine may include constipation, dizziness, anxiety, drowsiness, weight gain and more. Diphenhydramine (brand name Benadryl) may have side effects as well, such as drowsiness, dizziness, loss of coordination, dry eyes, upset stomach, blurred vision and more. Some gastroparesis patients cannot tolerate any liquids or food. In these circumstances, the doctor will likely suggest inserting a FEEDING TUBE into your small intestine. They may also suggest a gastric venting tube that works by relieving gastric pressure. The doctor can insert the feeding tube through your skin directly into your small intestine, or pass it through your mouth or nose. It’s typically temporary and only necessary if you can’t control your blood sugar levels with another method or if your gastroparesis is severe. Some individuals have to have the feeding tube through an IV going directly into their abdominal area and into a vein. 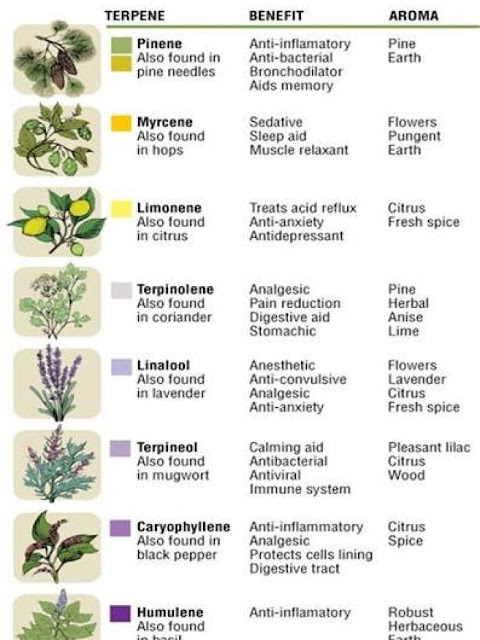 Some people benefit from alternative treatments, but there aren’t a lot of studies on these. A few alternative treatments include the following. STW 5 (Iberogast): A German herbal formula containing nine various herbal extracts. It eases digestive symptoms slightly better than a placebo. Electroacupuncture and acupuncture: The specialist inserts very thin needles at strategic points of your body through your skin with acupuncture. With electroacupuncture, the specialist uses a small electrical current that passes through the needles. Rikkunshito: A Japanese herbal remedy also containing nine herbs. It’s supposed to help decrease the feeling of being full after a meal and reduce abdominal pain. 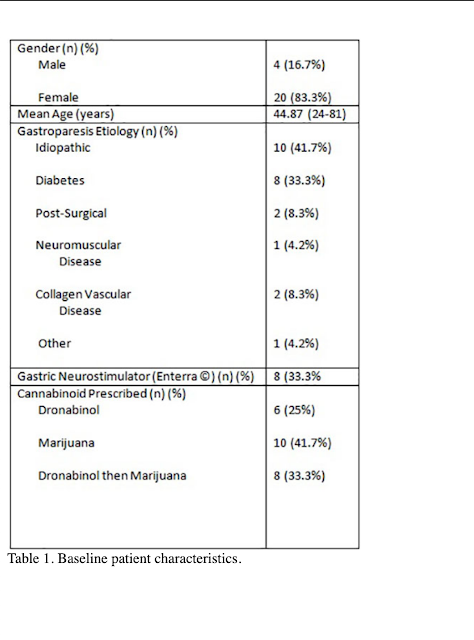 Published clinical trials don’t yet exist for marijuana and gastroparesis. 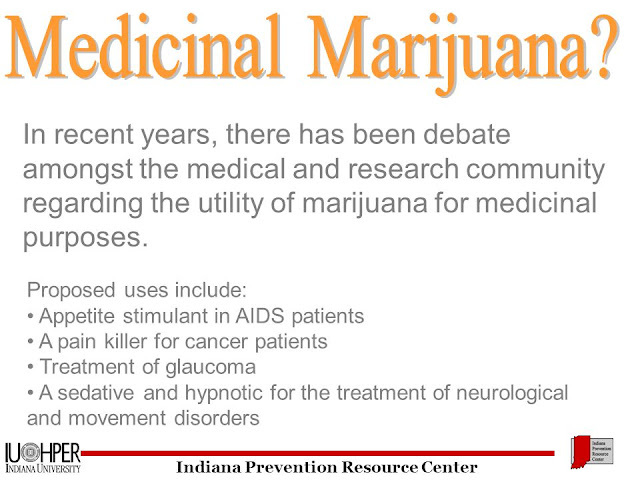 However, medical weed successfully alleviates digestive complaints like nausea. 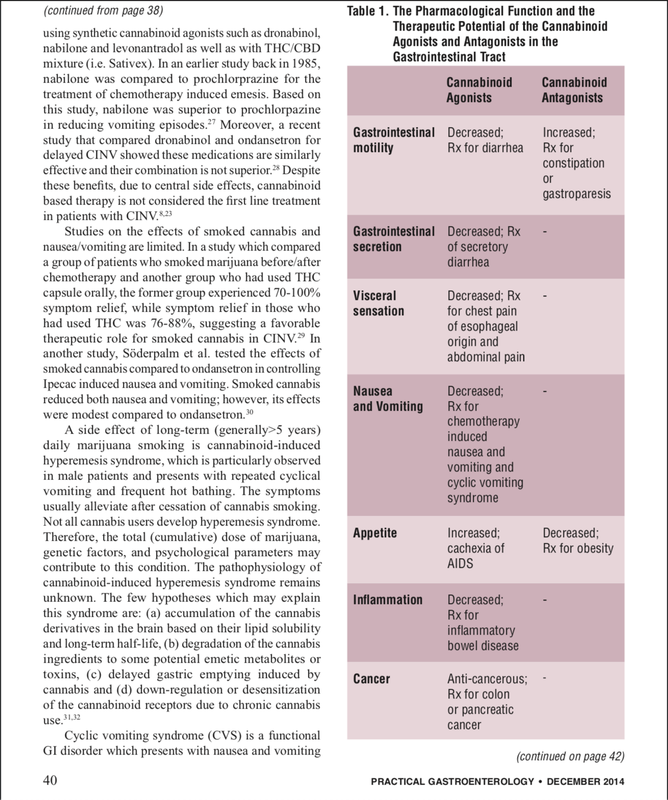 People have used cannabis derivatives to treat cancer. Since people historically have smoked marijuana as their ingestion method, some worry about its potential for addiction and harm, like with tobacco smoke. 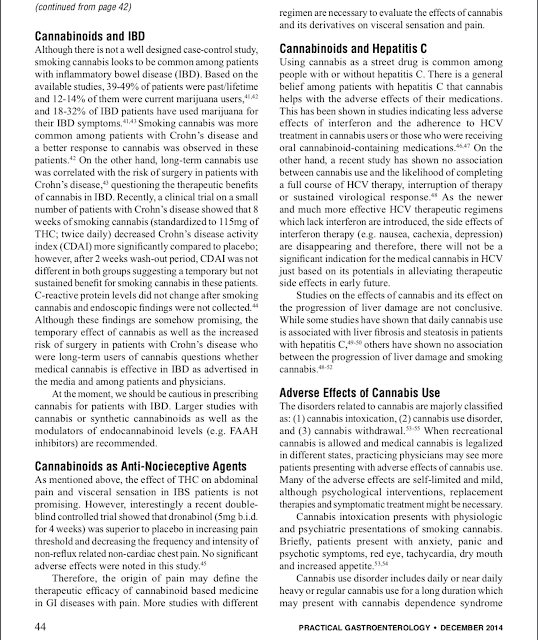 However, one particular patient claimed he made the switch to cannabis and used a vaporizer to smoke it. He claimed the herb helped him keep his food down and he gained back the weight he lost when he was on the medication Marinol. 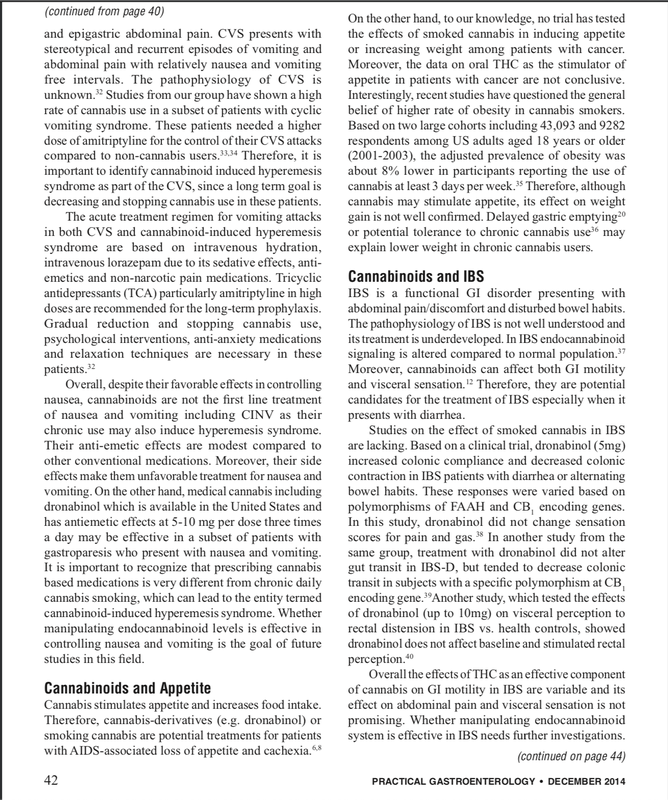 In February 2015, Current Gastroenterology Reports published a review examining cannabinoids and their place in treating gastrointestinal symptoms such as visceral pain, nausea and vomiting. 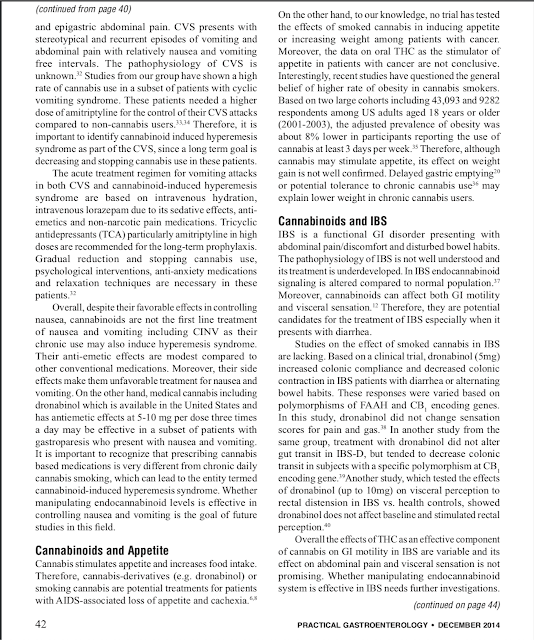 Researchers in the review found targeted cannabinoid therapy could aid in GI disorder/disease management. Image Source: On the Image. 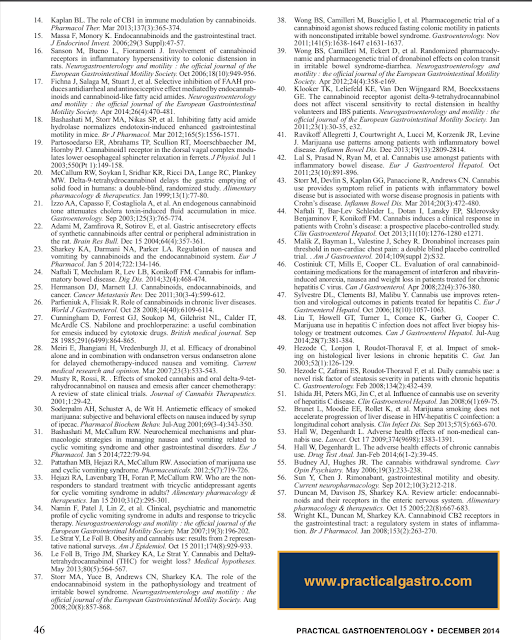 The number of GI tract cells: Too many cells could be an indication of cancer or some disease process, while tissue injury can result from too few. What Side Effects and Symptoms of Gastroparesis Can Medical Marijuana Treat? It also helps with anxiety and depression, thereby improving quality of life. 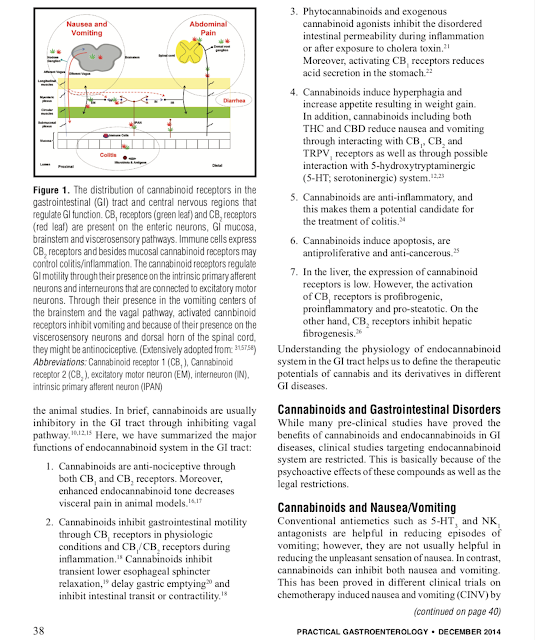 The THC and CBD cannabinoids directly interact with your body’s ECS receptors to affect things such as your appetite, mood, tolerance to pain and more. 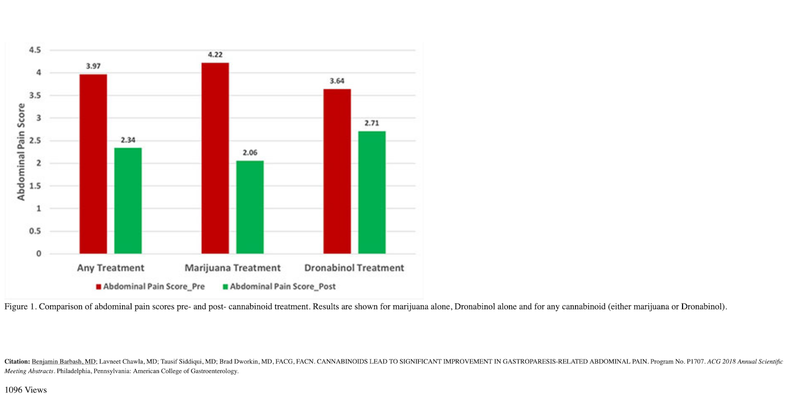 A little alteration in the amount of CBD and THC in your cannabis allows you to customize your medical marijuana and gastroparesis treatment to effectively help treat your symptoms. 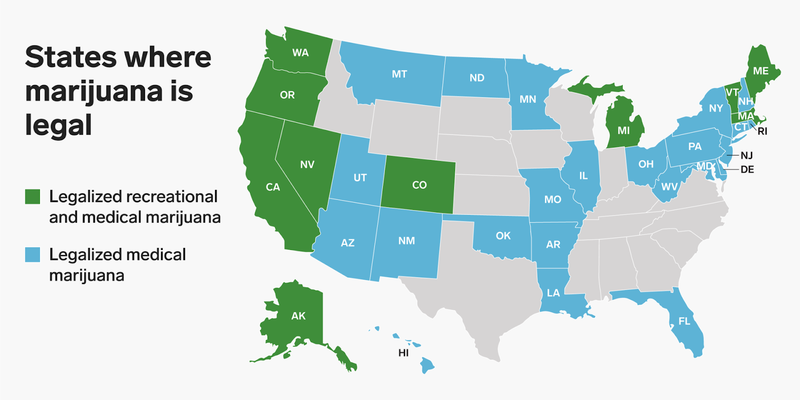 Several states have approved severe nausea as a qualifying condition for the use of medical marijuana. 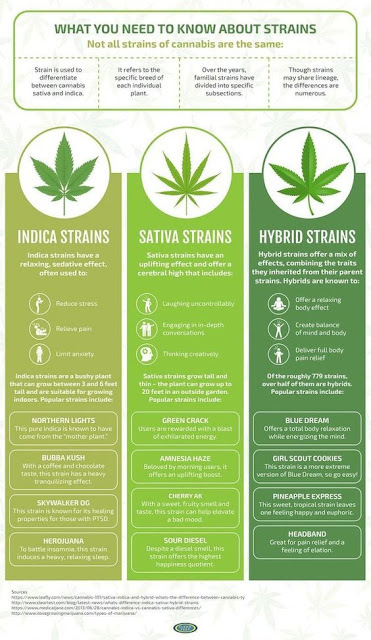 Along with choosing your cannabis and gastroparesis strain, you also need to decide on the best delivery method. Each delivery method provides its effects. Through trial and error, you’ll be able to find the most suitable method to get the most out of your treatment. Smoking or vaping: Inhaling cannabis gives you the fastest effect, and when you’re feeling nausea, you want instant relief. Keep in mind, both smoking and vaping release harmful toxins, but vaping doesn’t produce as much as smoking. If you can wait a little bit for the effects of your treatment to kick in, you might want to try a different method, such as the following. Patches: Patches release medication directly into your bloodstream. You’ll need to wait for the buildup of the effect, but this buildup makes them an excellent extended-release treatment. 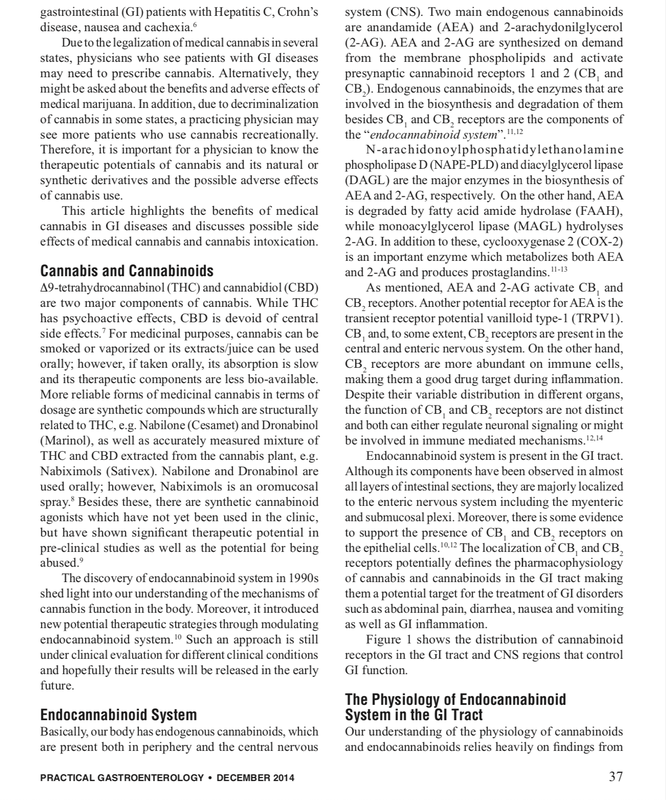 Tinctures: Try using a cannabis tincture in a tiny proportion, like two milliliters. Before and after each meal, take a teaspoon of the cannabis tincture to help decrease indigestion and aid in a healthy tummy. 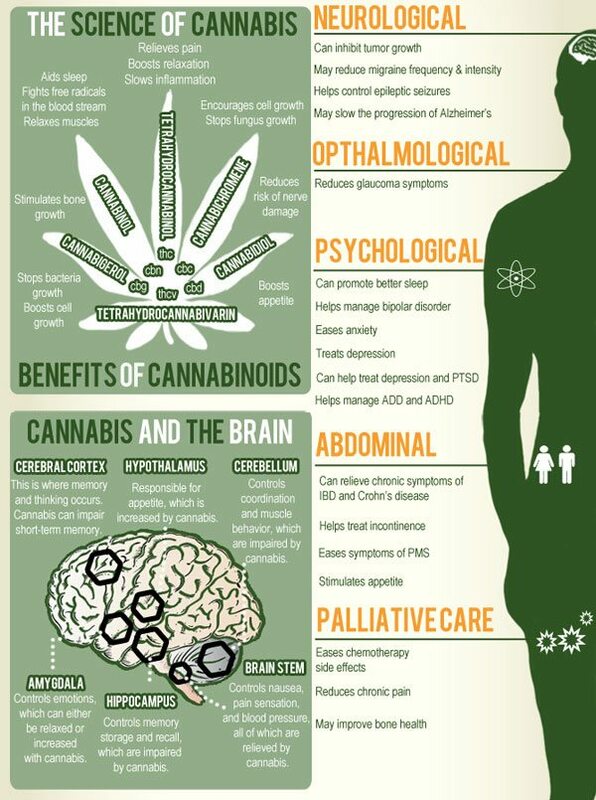 Edibles: Edibles can take more than an hour for you to feel their effects. 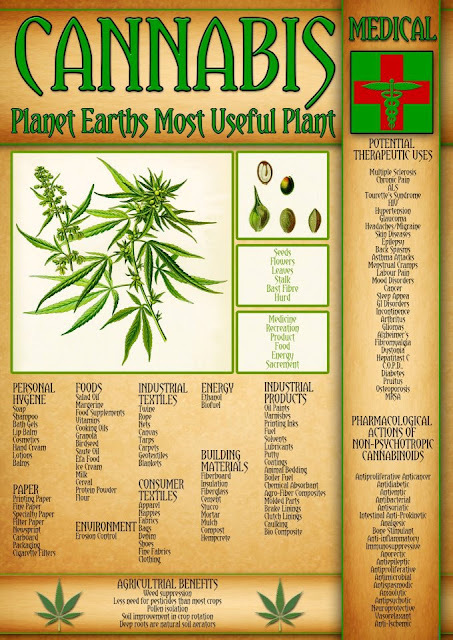 However, if your stomach is causing your nausea, consuming edibles will go straight to the source. 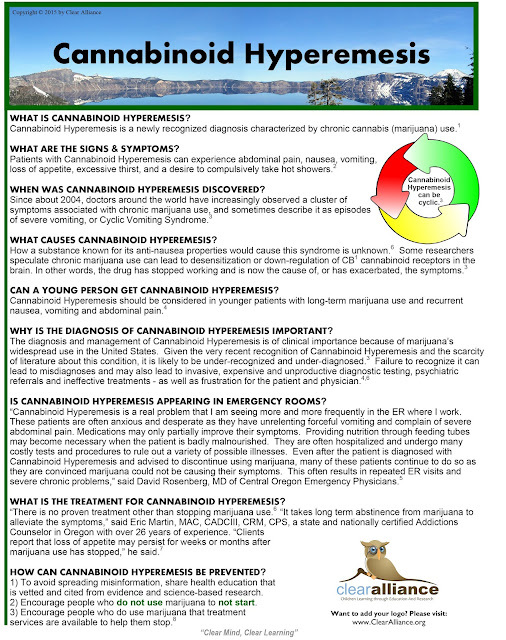 Becoming educated is a great way to begin your marijuana and gastroparesis treatment experience. 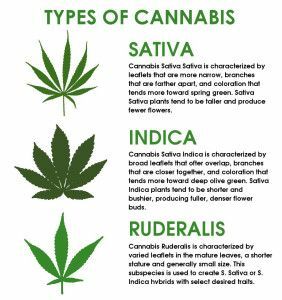 After you’ve learned all the essentials, you can increase your knowledge about medical cannabis, either through doing further research or by contacting a marijuana specialist. Once you’re ready, look up your state’s laws on medical weed. Then, it’s time to select a cannabis doctor who works closely with you to find the perfect medical cannabis treatment and continue an ongoing relationship with you. Then choose your dispensary you wish to get your marijuana products from — try out our huge database. 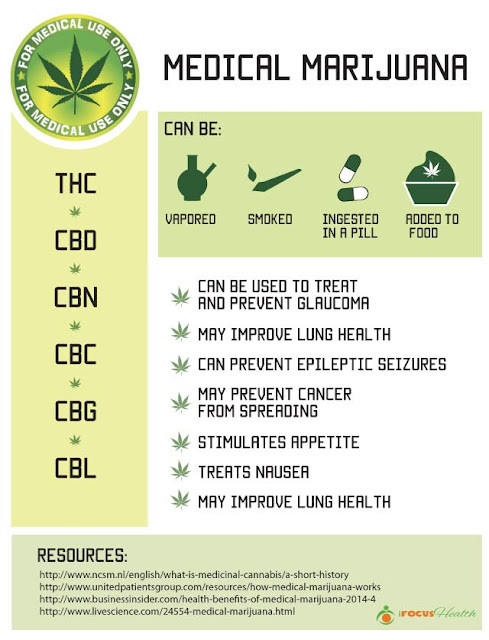 If you’re interested in getting more information on how to use medical weed to treat your gastroparesis or other stomach problems, book your appointment today with one of our recommended cannabis doctors in your area. "How can Marijuana Help with Gastroparesis? Gastroparesis is a condition where the spontaneous movement of the muscles in the stomach does not function properly. It is also known as delayed gastric emptying. Gastroparesis is actually a disorder which stops or slows down the movement of food from the stomach to the small intestine. The SYMPTOMS OF GASTROPARESIS include a feeling of fullness after eating a meal in a very small amount, vomiting, nausea, pain in stomach, acid reflux, and abdominal bloating. There are different treatment methods being used to cure gastroparesis including the dose of antibiotics. However, the use of antibiotics can cause more health problems than it treats. Antibiotics wipe out even the good bacteria needed to digest and absorb the food. DIABETES – Diabetes is the most common medical condition related to the development of gastroparesis. Gastroparesis can be a side effect of diabetes. Damage to VAGUS NERVE – A damage caused to a nerve (vagus nerve) that controls stomach muscles, may lead to gastroparesis. Undigested Food – Undigested food left in the stomach may cause gastroparesis. Among the different treatment methods applied and used to cure gastroparesis, the best cure lies with the use of marijuana. Some people and health experts emphasize on the natural ways of curing gastroparesis. The natural ways to cure gastroparesis include the use of Aloe Vera, probiotic foods, apple cider vinegar, vitamin D and some others. 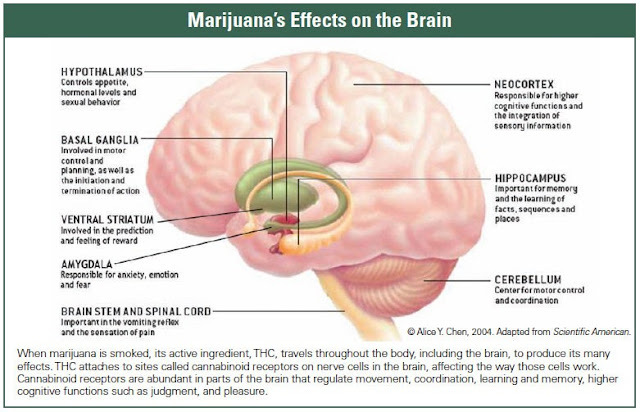 Marijuana may be known as a narcotic but it is actually more powerful than it seems. 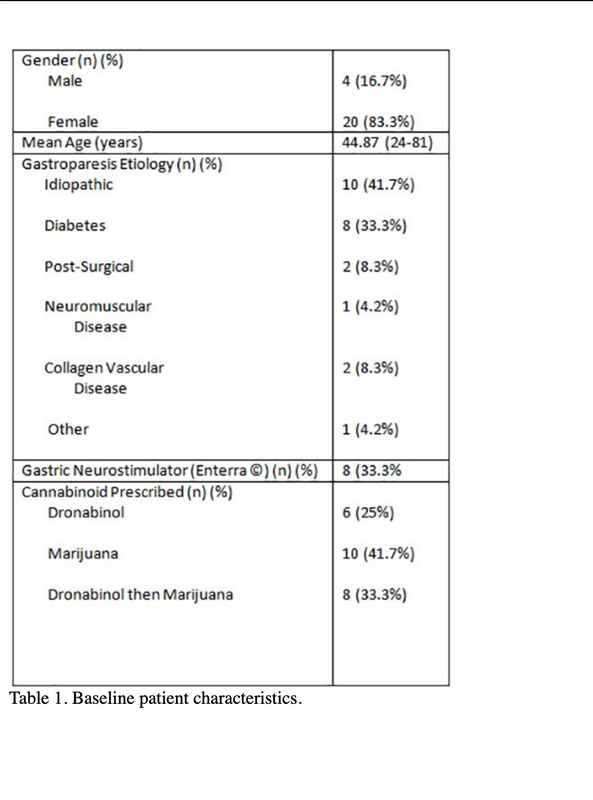 For people suffering from gastroparesis, marijuana can be very helpful if consumed in a balanced proportion. Marijuana promotes the digestion of food and helps repair the vagus nerve. 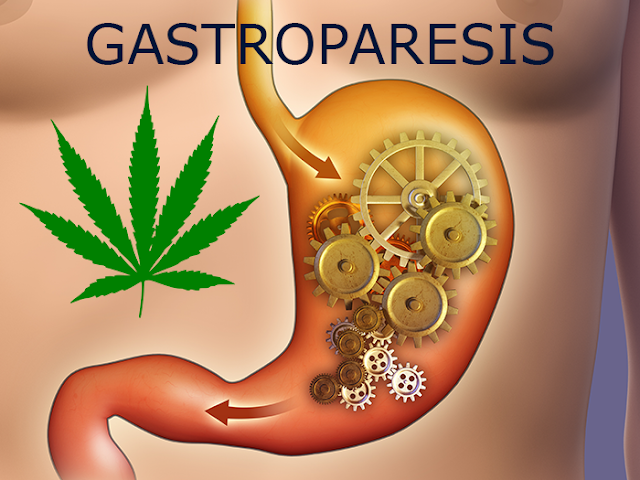 Not only does marijuana promote the digestion of food, it also helps removing the signs of gastroparesis including nausea, pain in stomach, abdominal swelling etc. 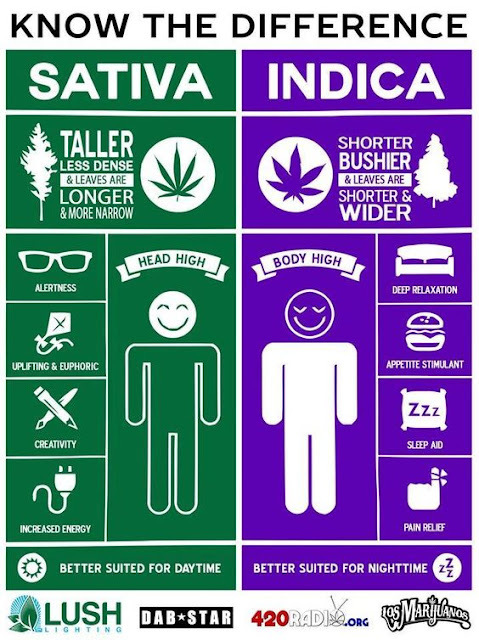 Marijuana promotes hibernation and relaxes the stomach and its muscles. As a result of which gastroparesis is eased in a very small period of time as compared to other ways of treatment. 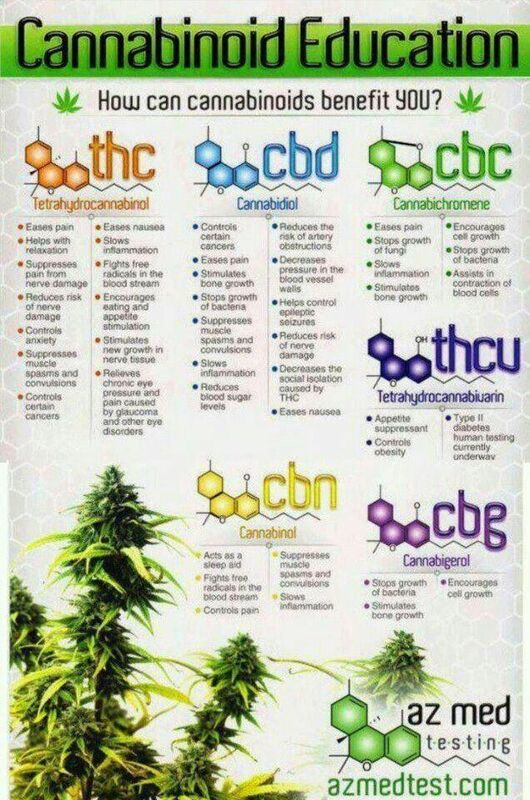 The dosage of cannabis or marijuana depends on different factors like gender, age, health, and physique. It is advisable to visit a doctor if marijuana is legalized in your state and you are a license holder of marijuana. The doctor will advise you the right amount of marijuana that will help you in your fight with gastroparesis. You can also use cannabis tincture in a very small proportion i.e. 2ml. A teaspoon of marijuana tincture right before or after a meal will help to reduce indigestion and promote a healthier stomach. However, it is advisable to maintain a healthier diet that is not very hard or heavier for the stomach. Excess of everything is bad. Marijuana has immense benefits for human health but all the benefits are dependent on the fact that marijuana is consumed in a balanced proportion." There was a Michigan Q&A (question and answer session) about medical marijuana and the effects it could have on certain conditions. 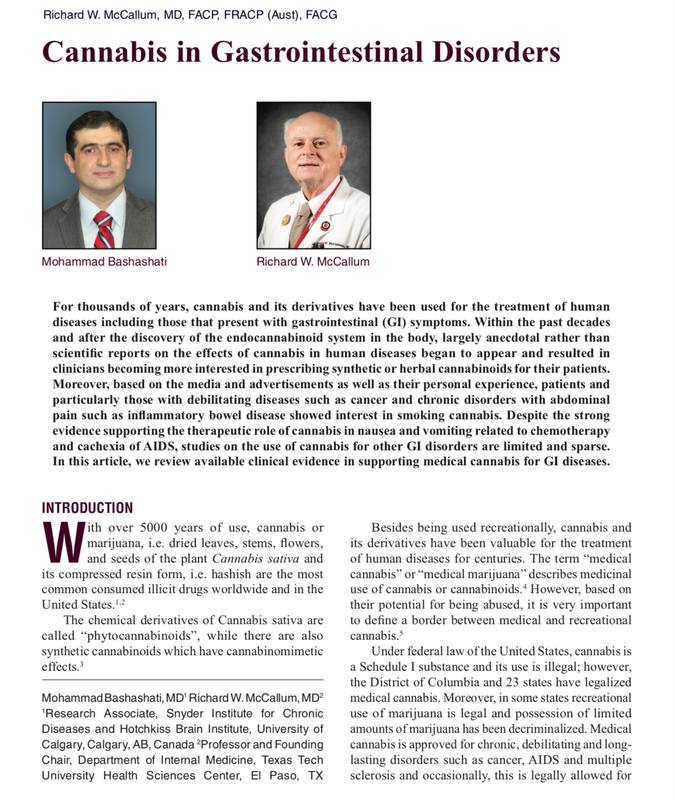 There are medical experts who take part in this panel to discuss frequent questions people may ask about medical marijuana and the benefits it can have on certain chronic illnesses and different conditions. The video is below. 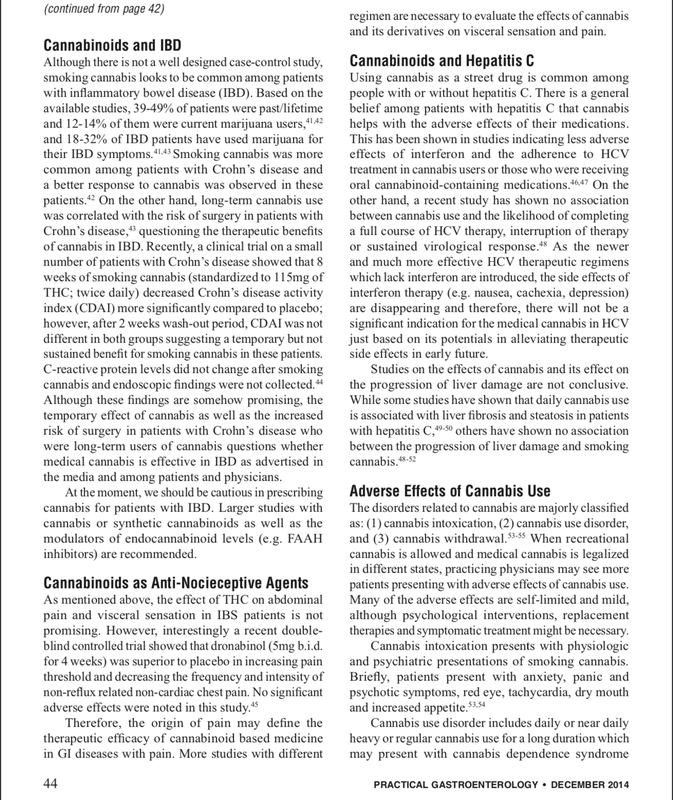 I have received some personal stories from people regarding medical marijuana and their chronic illness. I just want to say thank you for the emails and the people who have responded to my posts about this on my page, on Facebook, EmilysStomach. Jay gave me permission to share his story, so I posted it below. 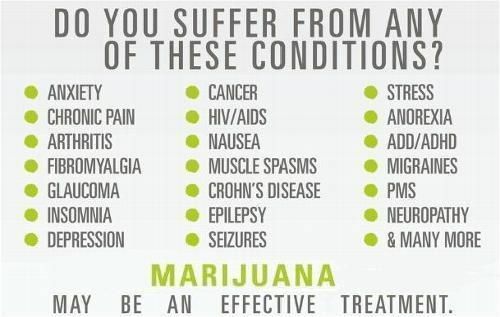 "Medical marijuana has helped me tremendously! I was diagnosed with gastroparesis about 5 years (typical gp story of weight loss, and a miserable existence), lupus (I stayed in bed almost 2 years) and hoshimotos [sic] (the fatigue was absolutely debilitating) and I've been on a host of all the typical medications for them all even have a gastric pacemaker. My daughter started working at a dispensary here in Florida, she so adamantly begged me to just try it and I said NO. I had only 'smoked pot' in high school, and was not interested. Well my dr had put me on the fentanyl pain patch and it seemed to help for a little while until the paranoia and depression started, I tried to stop it...I couldn't and my dr suggested that I see about getting my medical card. I did. The result was amazing, I can eat pretty much what I want and my mentality has improved as I feel like a completely different person now, doing things that I never thought I would be able to do. I am almost off of the patch now, another 2 weeks and I should be completely off of the fentanyl! Can I get a hallelujah! This has been the darkest time in my entire life and now I see light at the end of the tunnel! Thank you so much for the support on Facebook! Please feel free to share or use for your purpose of educating people!" 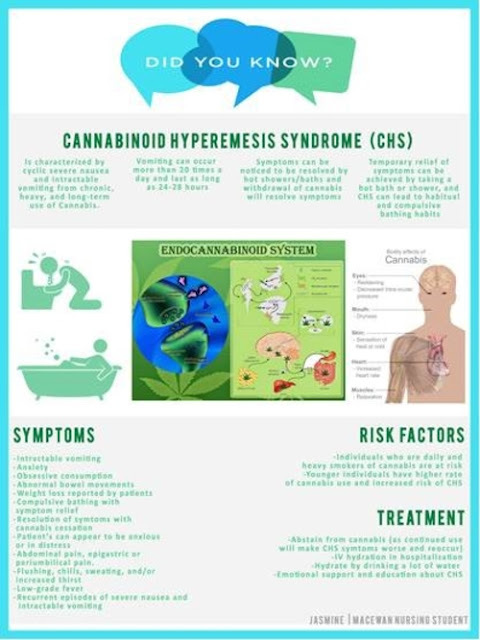 There is a condition that cannabinoids can cause, called CANNABINOID HYPEREMESIS SYNDROME. The link is attached if you would like to read more about it. 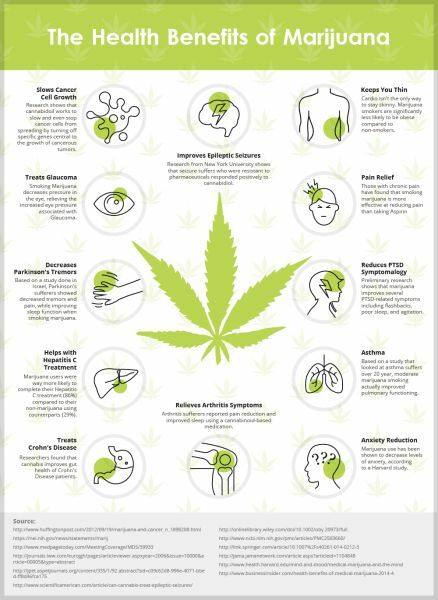 I wanted to bring this up because I do want to point out the positives and negatives to medical marijuana use, so that you can make a fully informed decision about it as a treatment option. I would encourage you to do your own research as well, and I know everyone is different, everyone's illness is different, so what works for others may not work for you. 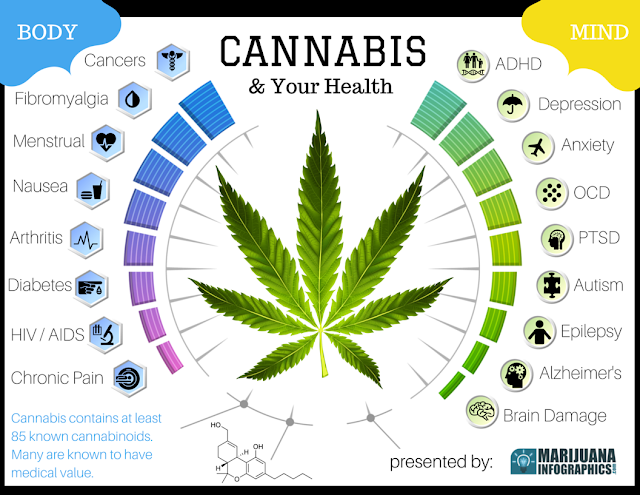 I just want you to have as much information about medical marijuana as you can get, because it is still against federal law, though it has been legalized in many states now. When it comes to your health, and treatments for yourself, you cannot be too careful and I believe you should research any viable treatment option and make an informed, educated decision for yourself. 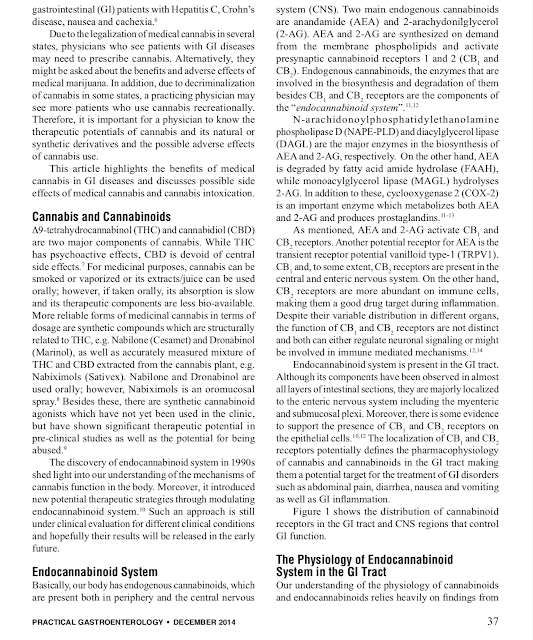 There is so much information out there about medical marijuana, and this article only covers a small portion of the information out there. I have always been an advocate of medical marijuana, even though it is not legal in Georgia yet, the government has decriminalized it in Atlanta. 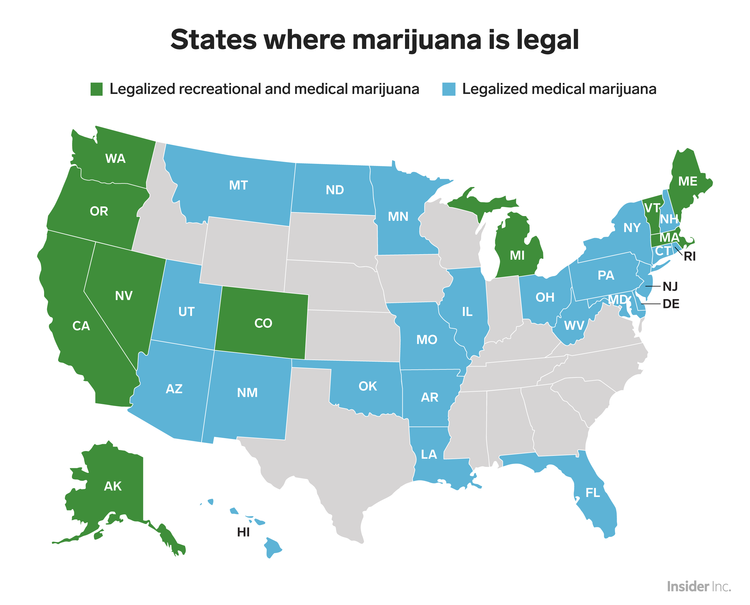 I do hope that it will become legal in all states, because I do personally believe (and this is my opinion) that the benefits outweigh the risks to me. 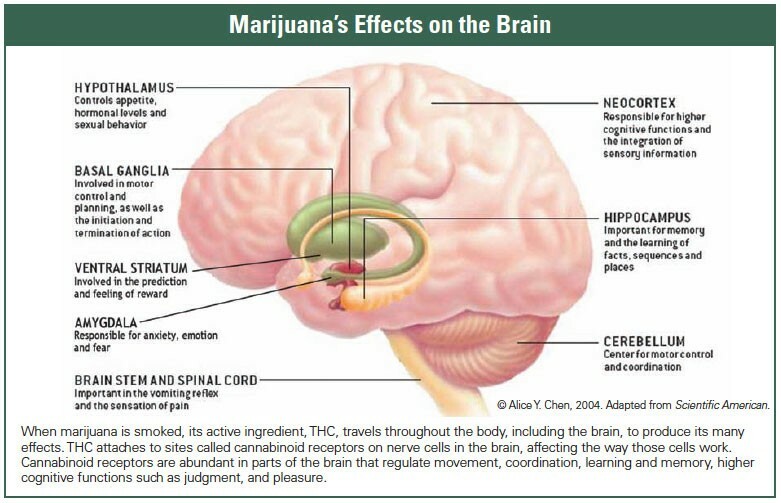 But, I do want to talk about the risks with marijuana as well, so you will know what issues it can cause. Image Source: On the images. if you would like to email me about this topic, share your personal experiences, or any other questions you may have that you would like me to research or look up, please email me at: emilysstomach@gmail.com. I am happy to help, and will do my best to help!